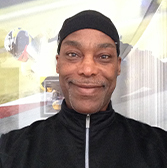 Calvin Stewart started his racing career like many in Karting back in 1984, winning 10 championships in 8 seasons. He started racing SCCA in 1992 in F440/F500 and Formula Continental. He is always a front runner with several divisional titles and track records. He has been on the podium several times at the Runoffs. In 2015, he won the SCCA National Runoffs at Daytona and was the Mark Donohue Award recipient. He also received the Kimberly Cup, Ira Garfunkel Award and was a top 3 finalist for the President's Cup. Calvin has a passion for racing and is currently driving a Novakar Blade F600 in the SCCA F500 class and the F600 Challenge Series. Cal is married to Ruth Stewart (his college sweetheart). They have a daughter, Christy..